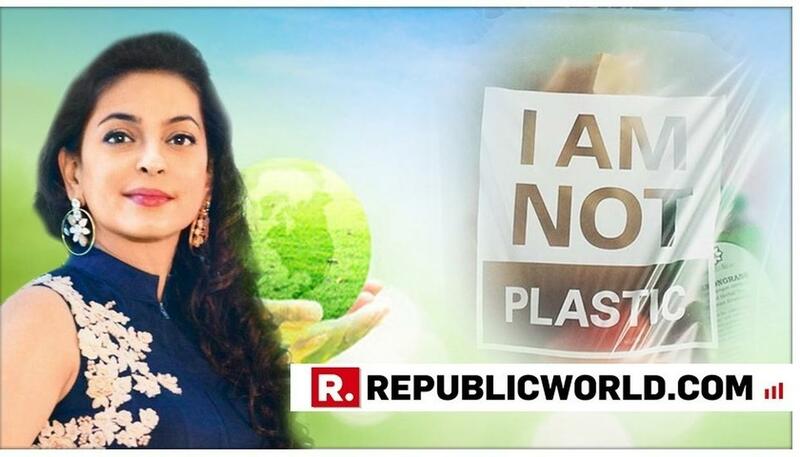 Adding her name to the list of actors in the film industry, who are motivating the country to use environment-friendly products Juhi Chawla posted a video on her Twitter account showing bags made of vegetable roots. Chawla who continues to rule the hearts of her fans, is in Bali Island, Indonesia, which banned single-use-plastic bags in December last year. The one minute 22 second video displays a message on the bag - I am not plastic, and a footnote that read - “ Eco-friendly bags made from vegetable starch.” She further puts the bag into a glass of water and within seconds the bag dissolves. Bali Island in December last year banned single-use-plastic bags in wake of excessive plastic pollution. It was done to reduce the plastic waste in the famous tourist destination of Bali. The island's Governor, Bayan Koster, said that this policy aims at a 70% reduction in Bali's marine plastic waste within one year. Indonesia - an archipelago with more than 17,000 islands, is not only worried over its plastic pollution but is also taking prompt action against it. According to the Jakarta Environment Agency, out of the 7,250 tons of waste that is produced each day in Indonesian capital of Jakarta, 14 percent involves plastics, while 1 percent of the plastics are non-degradable, single-use plastic bags. According to a survey that was conducted by the Indonesia Plastic Bags Diet Movement, more than 90 percent of the residents of Jakarta agree to reduce their use of plastics. India too has taken steps to curb the single-use plastic waste. Five states, namely, Maharshtra, Tamil Nadu, Bihar, Uttar Pradesh and ODisha has already banned use of plastic-bags. However, India still needs a cost-effective and a quick alternative to plastic. Chawla’s video attracted the Indian users yearning to have such an alternative. Nevertheless, there were few comments fill with humour.